Sweet and Pretty! - Jill Ruth & Co.
My second daughter made this for her sister for her 14th birthday. 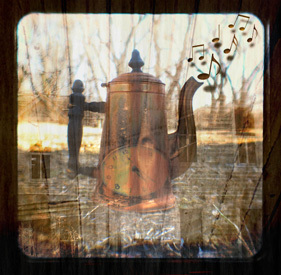 Isn't is neat?! I didn't have a wall to hang it on with good lighting for a picture, so sat it on a chair by the window. She learned to quill from a friend at "craft night". This is only her second project. I think she caught on pretty quickly! And, great instructions for the beginner here. 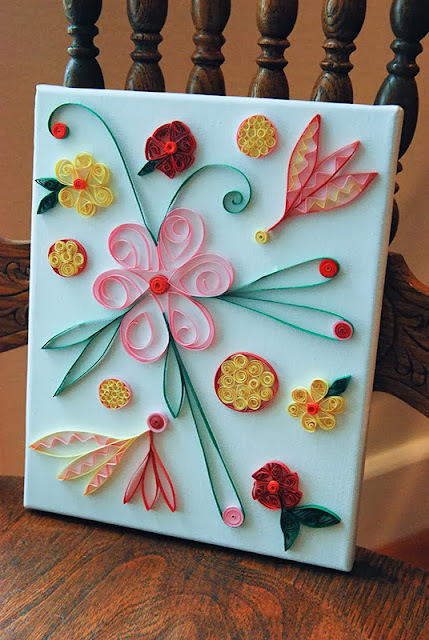 Do you have experience in quilling? 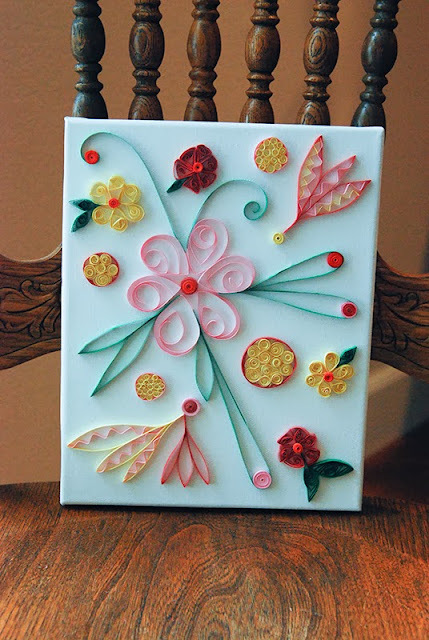 Wouldn't quilling be a great addition to mixed media pieces too? 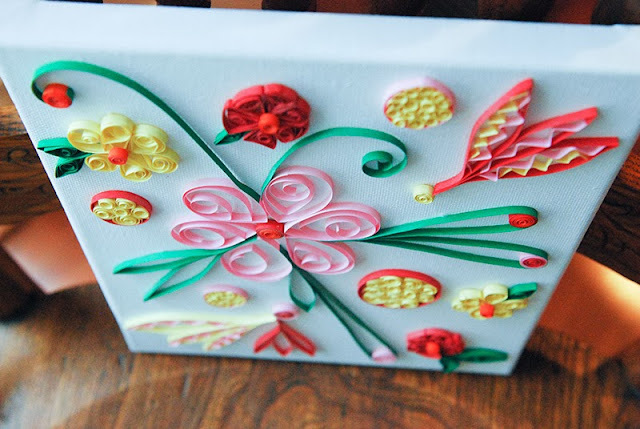 Beautiful quilling canvas. She's done a great job. 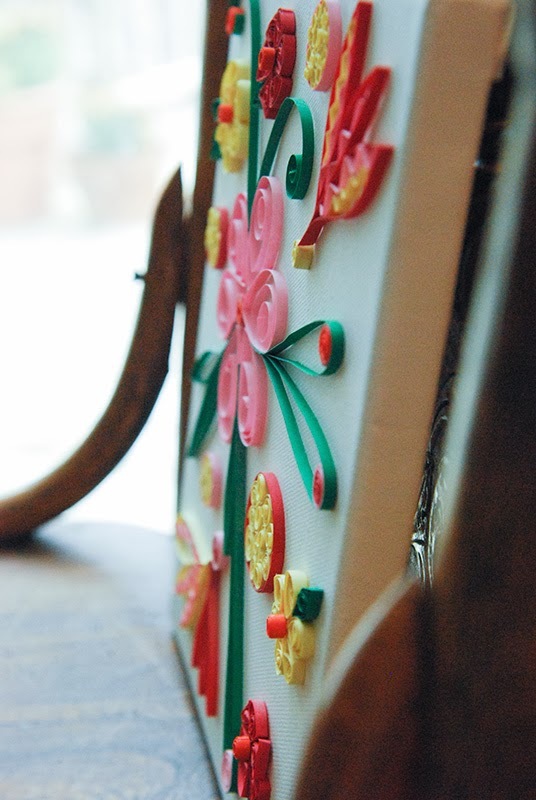 I've never quilled but have admired projects from afar. She did a great job! I've never quilled, either........ your daughter definitely has a creative vein!!! It's lovely!!! Just lovely....how sweet that she made it for her sister! !